Released in August 2016, the Oppo F1S has a 5.5-inch IPS LCD capacitive touchscreen with a resolution of 720 x 1280 pixels. The screen supports multitouch functionality and is protected by Corning Gorilla Glass 4. What is the camera configuration of the Oppo F1s? The Oppo F1s camera configuration is unique as it has a 13MP primary camera and a 16MP secondary camera. Is there a fingerprint sensor in the Oppo F1s? Yes, there is a front-mounted fingerprint sensor with self-learning technology that makes it more sensitive to your fingerprint if the frequency of use is increased. The fingerprint sensor unlocks the Oppo F1s in just 0.22 seconds. Which OS does the F1s run on? The Oppo F1s runs on Android 5.1 Lollipop and is upgradable to Android 6.0 Marshmallow. Is the smartphone available on EMI from Bajaj Finserv? Yes, you can purchase the smartphone on EMI from Bajaj Finserv. The company has a wide EMI Network and offers easy repayment tenors. Do I need to pay any down-payment to get this phone on EMI? No, down-payment is not required to buy the Oppo F1s. What are some of the greatest Oppo smartphones under Rs. 15,000 that are available on EMI? Some of the greatest Oppo smartphones under Rs. 15,000 include Oppo Realme 1, Oppo A83, Oppo F5 Youth, and Oppo F1 Plus. What are the top oppo models available under Rs. 20,000 on EMI? Some of the top Oppo models under Rs. 20,000 include Oppo F3, Oppo F5, Oppo F1s, etc. The Oppo F1s is a remarkable innovation in the smartphone industry. With a sleek look, the Oppo F1s features a 13MP primary camera with phase detection autofocus, geo-tagging and many other exciting uses, while the secondary camera, also known as the Selfie Expert, has a 16MP resolution. Now enjoy faster game and video rendering on your smartphone, owing to the Oppo F1s RAM of 4GB. One of the major Oppo F1s benefits is its 64GB ROM or internal memory that lets you store your favourite movies, songs, and photos without worrying about the space. A non-removable 3075mAh Li-poly battery make the Oppo F1s battery life long as you can go on playing your favourite game for hours. Combining looks with functionality, the Oppo F1s specifications will make you want to own it. The Oppo F1s price starts at Rs. 15,500. You can buy the Oppo F1s on EMI via Bajaj Finservs vast EMI Network. Bajaj Finserv offers loans of up to Rs. 4 lakh and has over 60,000+ stores spread across more than 1,300+ cities in India. To avail a loan, you are required to visit a Bajaj Finserv partner store and submit your KYC documents there. Once your loan gets approved, you can avail your smartphone on EMI. 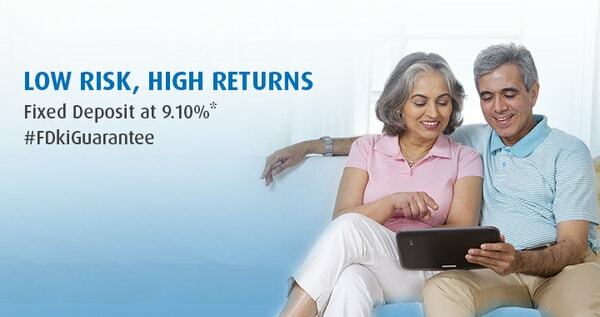 Bajaj Finserv offers easy repayment tenors of up to 24 months. You will also get an EMI Network Card that can be used at partner stores as you swipe through to make your transaction. All customers of Bajaj Finserv are given access to Experia a personal account portal that lets them see all their EMI transactions and payment schedules.